Garage Door Repair West Hills CA & Surrounding Areas. In West Hills, Magic Garage Door sets the standard for service by providing better maintenance and emergency repair services than our competition. 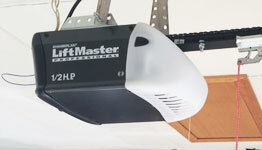 That has assisted us to become a favorite garage door maintenance company in the area. Most people want their garage doors to add to the architectural beauty of their home. 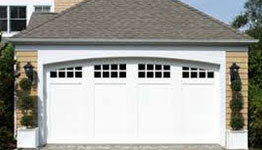 Our customers know their garage door is a focal point on their home because it is the largest door. Well crafted designs highlight the beauty of their home. Magic offers a better selection from every garage door manufacturer for this reason. Our manufacturers offer a large collection of styles and materials for new garage doors. Every style you can imagine from flat to raised panels is there. Do you like wooden garage doors but don’t want to bother with maintenance? Today’s doors offer an increasing selection of materials that give the good looks you want but without the maintenance work you don’t. Do you like wood, and enjoy maintaining it? We offer a wide selection of custom wood doors to satisfy the traditionalist. Material choices today have something to offer everyone. West Hills residents have the choice to customize their own garage doors. This is a stylish option that reflects the uniqueness of our California heritage because every person is special. Every home and décor is different too. Our professional staff will show you all the styles and options available. West Hills garage door company has the experience to make sure you get the best door for your home. 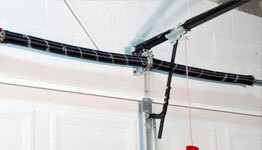 We will also show the way through all the options accessible for garage door openers. We work hard making sure your choice is the correct one for you. Let’s face it, if you don’t know what’s available, how can you make the best choices? All the top shelf products we carry come with the best warranties in the industry. Count on Magic to do the job right. Our 10 years of service in West Hills demonstrates a long history of customer satisfaction. 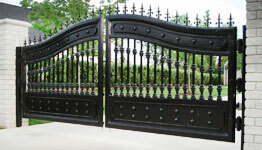 All of our technicians are factory qualified to provide the best service. We only offer the best replacement parts available. 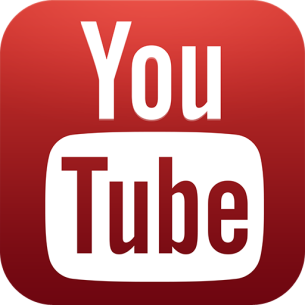 You can be sure you are getting the best product warranties when you hire Magic. For service in West Hills you want a company that gives you a fast response. When you call, we will be there the same day with no excuses. Our service technicians fix your problem and don’t just come to inspect it. That’s why we promise there won’t be any hassles, and no waiting for us to show up. We are West Hills better local garage door maintenance company. In today’s world almost every homeowner has had to deal with a bad company that makes promises it doesn’t deliver on. Life happens. People hire in good faith only to find out that the work is careless or unfinished. This means hiring another company to fix the first companies work. This gets expensive as well as stressful. Magic fixes a lot of other companies work. Magic Garage Door has experienced industry certified technicians for this reason. 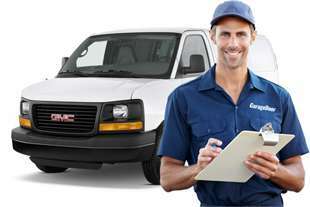 Our technicians are proficient to handle every situation they come across. They are continually going to factory schools and upgrading their skill sets. Our long service history shows we will be there for you ten years from now. This also shows you our guarantees are good. And it doesn’t matter if it’s a residential or commercial service problem, we will be there, same day, no hassles. In West Hills, choosing a garage door service company is really simple. Choose the company with the long track record for carrying the highest quality replacement parts. Opt for the company with the best service performance. Hire the company that has proven time and time again, when customers call with an emergency, it is treated like one. We guarantee that you will have no hassles and no waiting. That’s why Magic Garage Doors is the garage door company for you. We handle your garage door problems right away. We know you have better things to do themselves than worry about your garage doors. When you hire Magic, we worry about your garage doors for you. With twice a year checkups that make sure the alignment is right and all the component parts are in fine shape, the garage door will work for decades. We swap out any parts that need it, the right way. As a company, we pay strict attention to detail. Our long service record in West Hills makes it is easy to choose us for the garage door repair and service company you want to deal with. Call the company that takes your security, comfort, time and money into account when you call us. 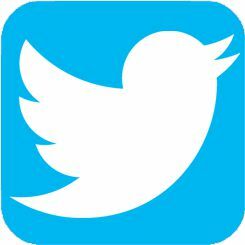 In our industry word of mouth is still our best advertising. If you want to know why West Hills is pleased with our service, try us today! I call this company and they dame out today. They were professional and did an excellent job repairing our garage door. Previous companies tried to oversell us with a new garage door opener and the problem turned out to be simple and easy to fix with a more affordable price! Great experience with this company! They came out, fixed my garage door and replaced the two additional springs because they were all the same age They did a great job and gave me a very fair price. They were very professional, through and did a terrific job. I highly recommend them.